It has been a while since my last Bak Kut Teh session, hence I snapped at the chance to try out this new restaurant, Fen Fang Bak Kut Teh Restaurant over at Kepong KL. 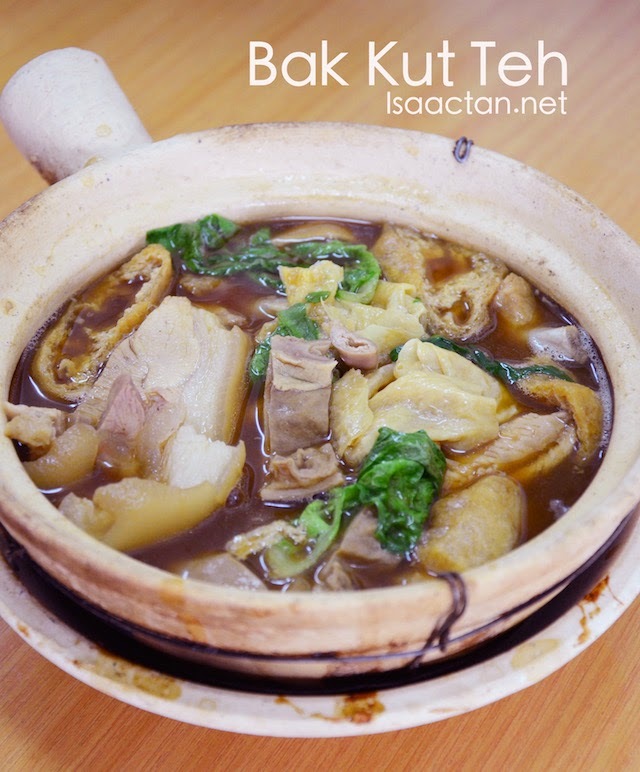 Similar to Klang, there has been a boom in bak kut teh outlets especially around the Laman Rimbunan area where this restaurant is located in. Arriving at the restaurant just in time for lunch, I must say there really is a lot of bak kut teh restaurants in the vicinity. 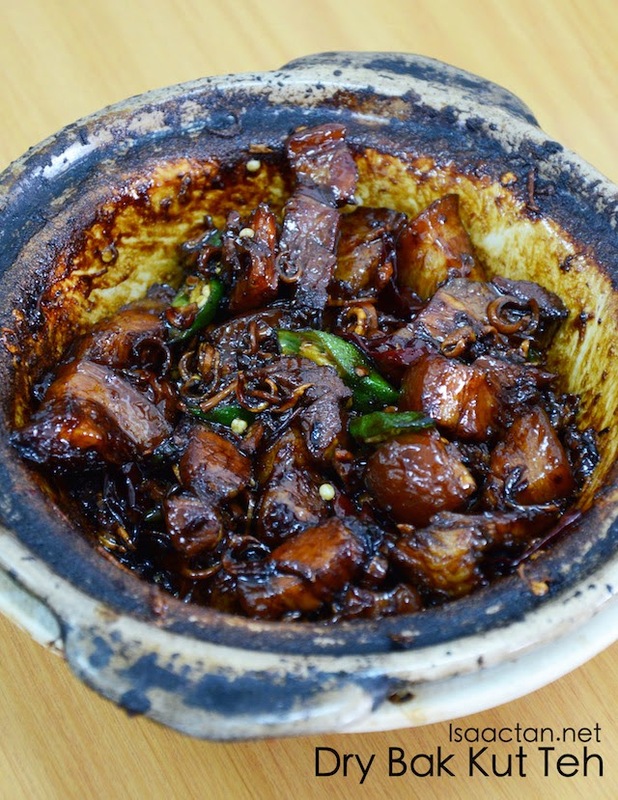 Undaunted by this, Fen Fang Bak Kut Teh Restaurant has only started operations a couple of months back, but they are confident that their signature dry bak kut teh dish will win over the hearts of Kepong diners. While their Bak Kut Teh soup is like what you would expect from a bowl of piping hot soup, it's their Dry Bak Kut Teh that won me over. It was indeed a fatty dish, with pork belly being used, with fats and all, but it's the intensely tasty black sauce flavour of the dish that really tantalise your taste buds. Left to simmer for at least 20 minutes before being served, the cuttlefish, pork belly, and dried chilli goes well together. Good stuff. 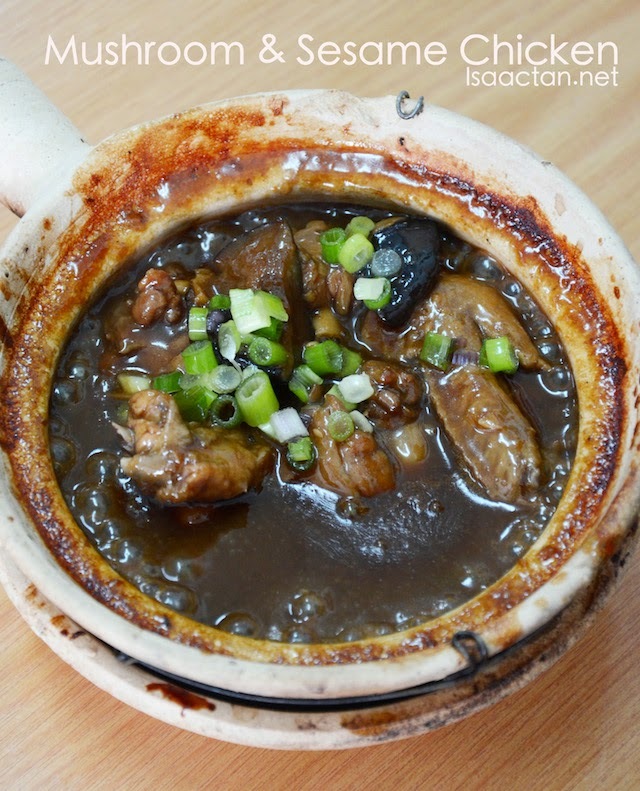 A departure from your usual pork dish, Fen Fang Bak Kut Teh served some rather nice Mushroom and Sesame Chicken dish. 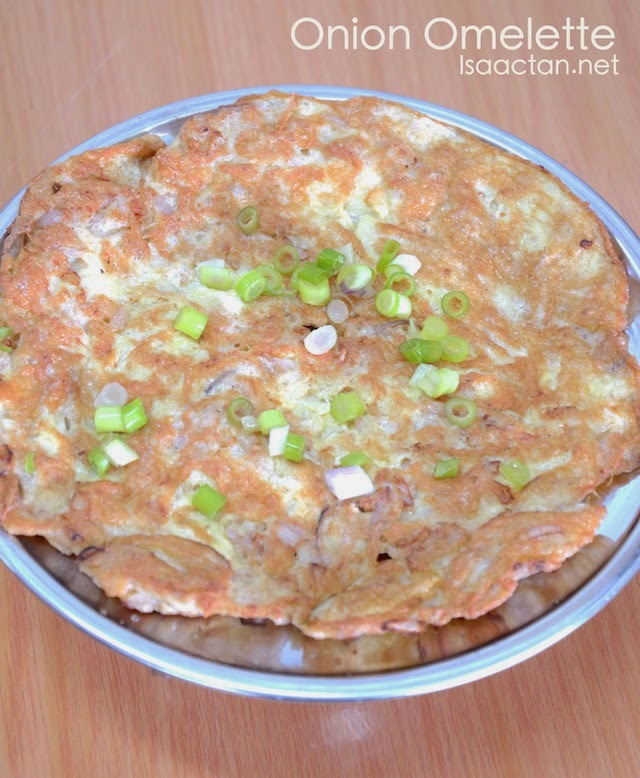 Served in a claypot, the sauce inside was thick, giving out a nice delightful flavour. Although they were generous with the chicken meat inside this dish, I still prefer the pork dishes. Folks who want something different must try out their Pickled vegetables with Pork Stew. The pickled vegetables gave a certain texture and taste to the dish, one which is pleasant to the tastebuds. I did not really fancy the pickled vegetables though, but Janice loved it. 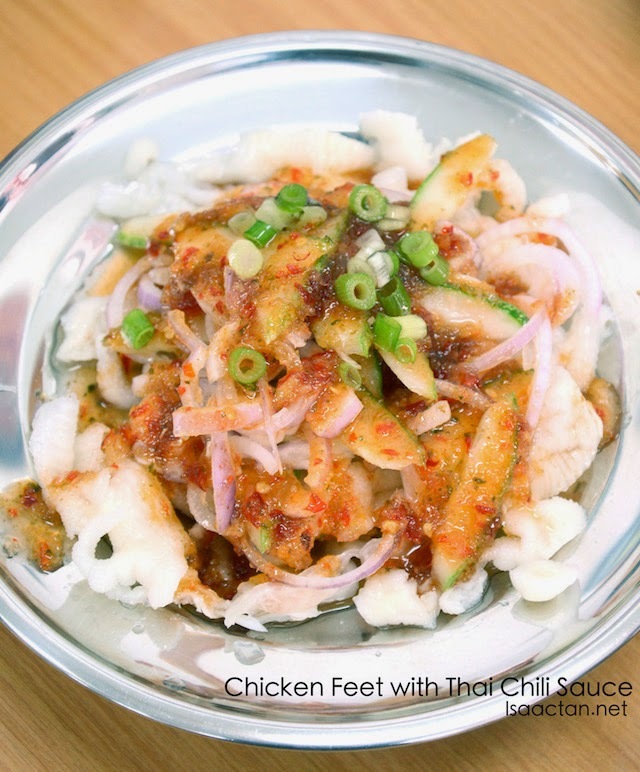 Another dish which caters to folks who love chicken feet, but prefer the chicken feet to be all cut up and 'ready to eat'. The sweet and sour flavours from the Thai Chilli Sauce brought out the otherwise neutral taste of the chicken feet. 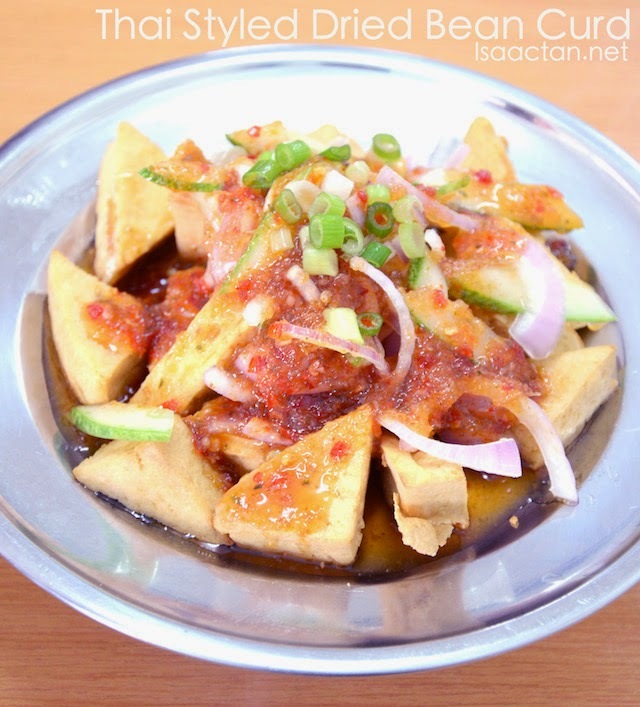 The Thai Styled Dried Bean Curd had the same thai chilli sauce similar to the dish before. 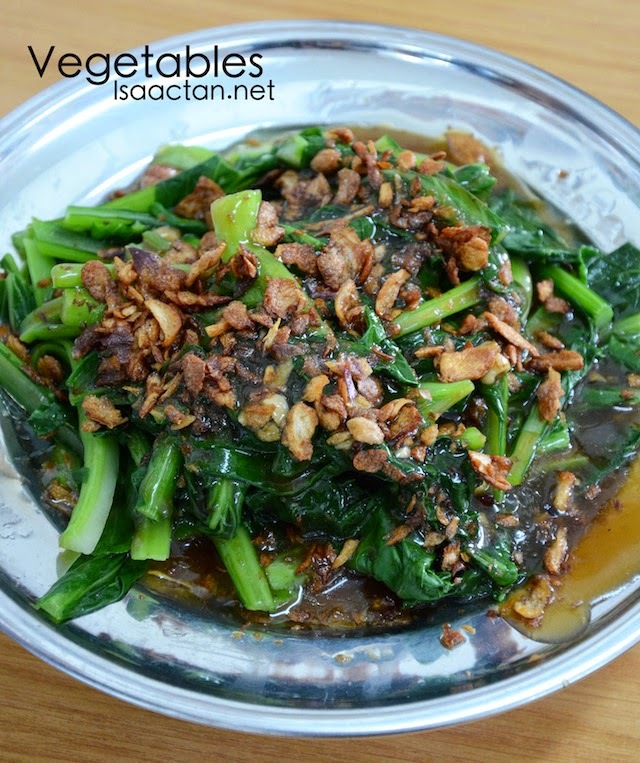 The vegetables and bean curd sort of balances out the oil and fats from the bak kut teh. It's nice to note that Fen Fang restaurant provided a variety of dishes on top of their main bak kut teh. 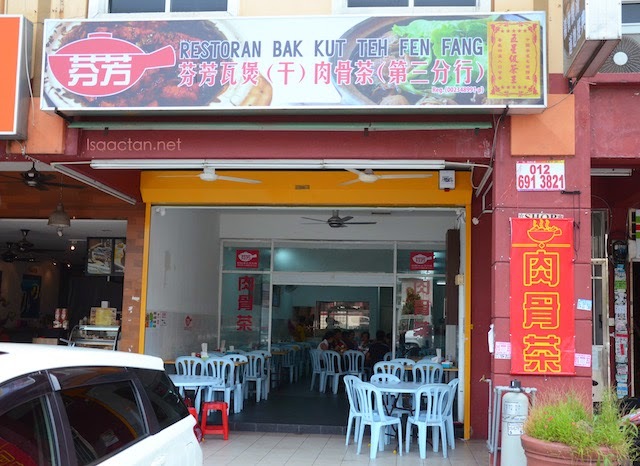 Overall it was a good meal out at Fen Fang Bak Kut Teh Restaurant, Kepong KL. 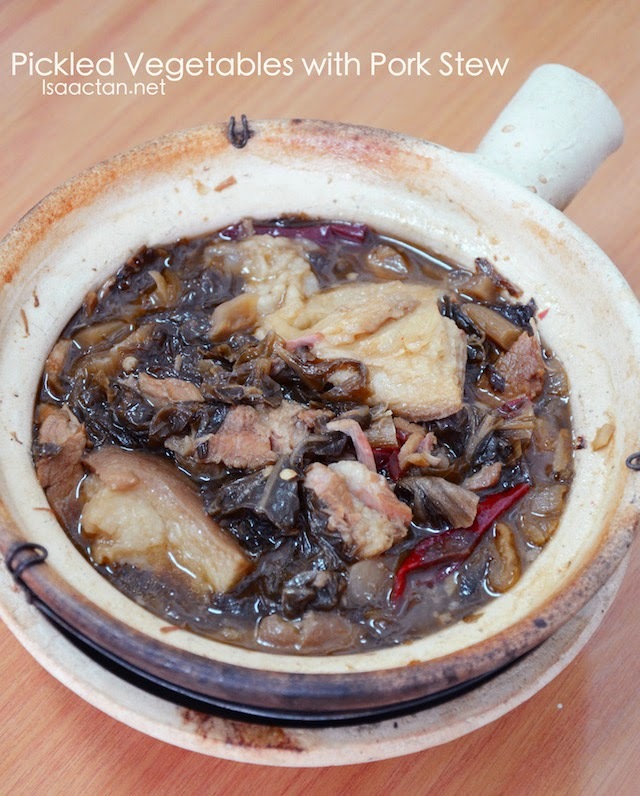 Their signature dish had to be the fragrant dry bak kut teh. As for their bak kut teh soup, it was a tad too diluted compared to the ones I'm accustomed to, especially if you compare it to the Klang ones. Do try out this restaurant should you be in the vicinity. Everything looks so good. You take me here when I go over, can? I wanna try everything!!! Nom! Nom! Nom! I'm starting to love dry BKT too. More kick and oomph!